The series of photographs that Joseph Sudek created in the Mionsí Forest of Morovia's Beskid Mountains is perhaps the most classically Romantic and visually stunning body of work ever made by this important Czech photographer. In the late 1920s, while shooting the interior of Prague's iconic Cathedral of St. Vitus during its final phase of completion, Sudek learned a great deal about light. Years later, alone, deep in the virgin forest, he lay in wait for the light that he knew would lend the ancient trees their ghostly aspect--finding graceful compositions in isolated wilderness. 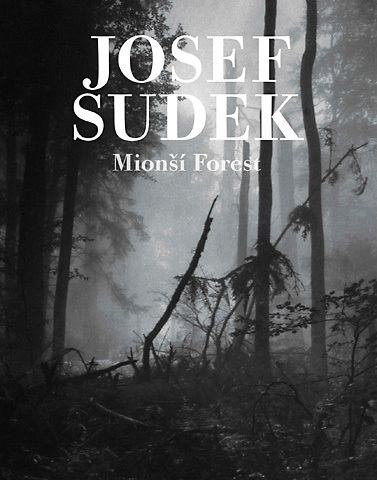 Photography historian Antonín Dufek penned the introduction to this volume, which is the first to present such a comprehensive set of Sudek's photographs of the Mionsí Forest, the ruins surrounding Hukvaldy castle and the foothills of the Beskids.